Encourage and challenge your faith with a year of daily devotions from classic Christian authors. 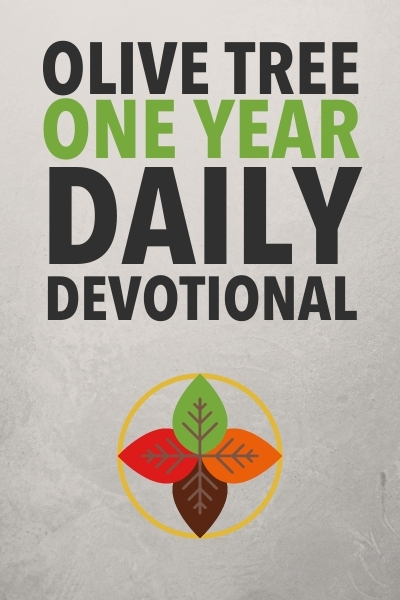 The Olive Tree One-Year Daily Devotional offers 366 readings from Charles Spurgeon, D. L. Moody, Andrew Murray, R. A. Torrey, Matthew Henry, and F. B. Meyer, each one revised in contemporary language and complemented with a scripture passage. Enjoy the best selections from 27 Olive Tree resources that embrace a wide variety of topics relevant to your life, including faith, prayer, God’s presence, and more. The Bible Study App provides easy navigation by date or topic, as well as verse reference links to study your favorite version of the Bible with the One-Year Daily Devotional.